Catching our eye on the Harajuku street once again is Takako and Masao, a couple who is popular in the neighborhood for their matching kawaii streetwear ensembles. 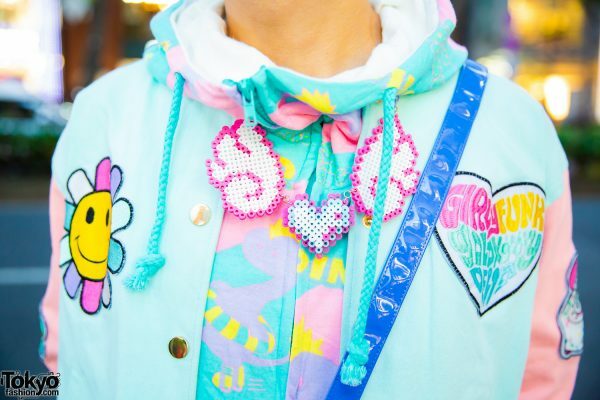 Masao – at the left – is clad in a Galaxxxy colorblock pastel jacket, worn over a printed pastel hoodie jacket, also from Galaxxxy. 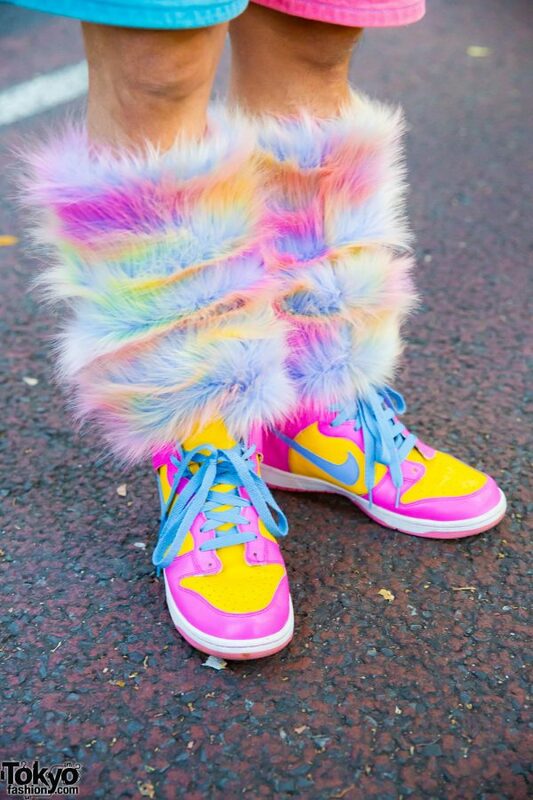 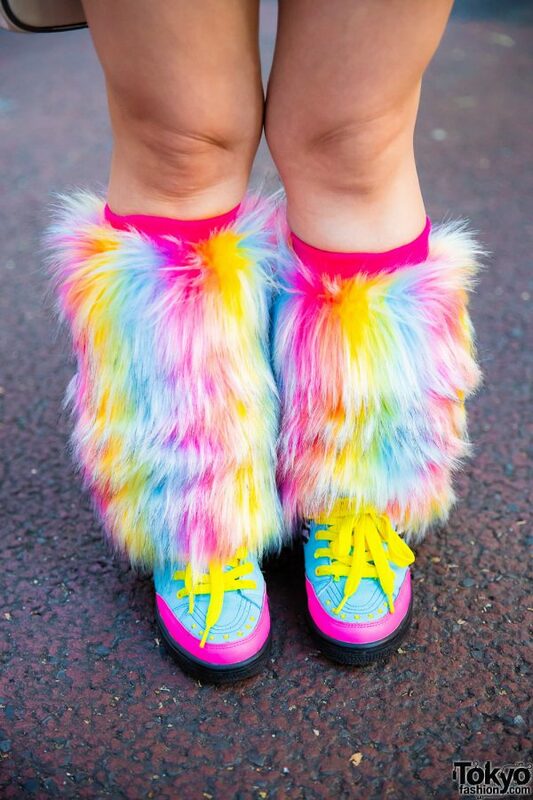 Resale Pinnap Tokyo blue-and-pink denim shorts, multicolored furry leg warmers from 6%DokiDoki, and Nike high top sneakers with a purple, pink and yellow colorway completed his outfit. 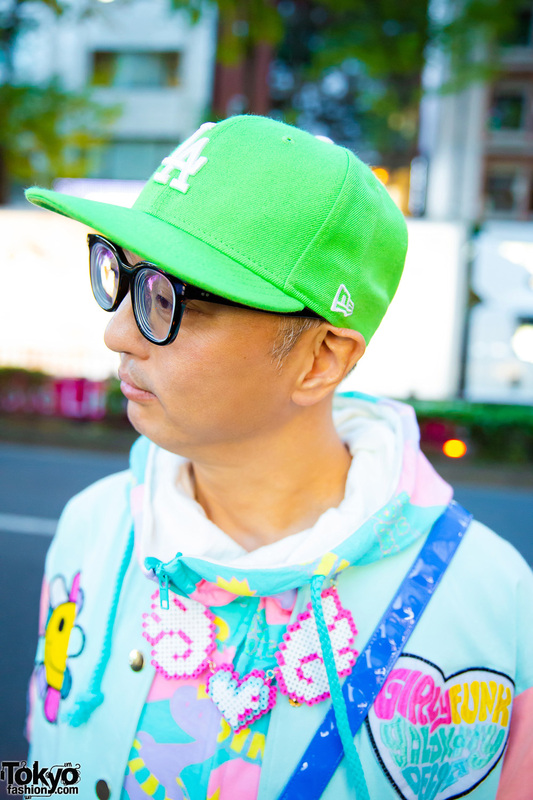 He accessorized his colorful look with a green New Era cap, a handmade heart with wings perler bead necklace, a pink watch, and colorful 6%DokiDoki bracelets. 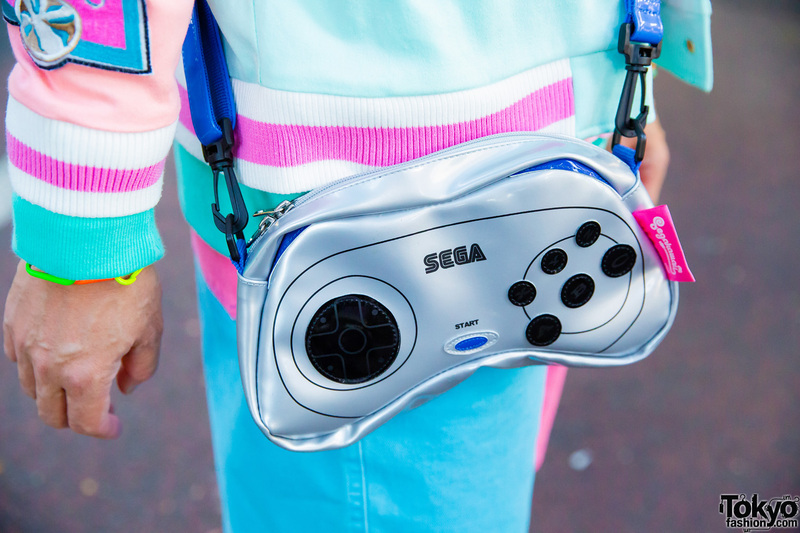 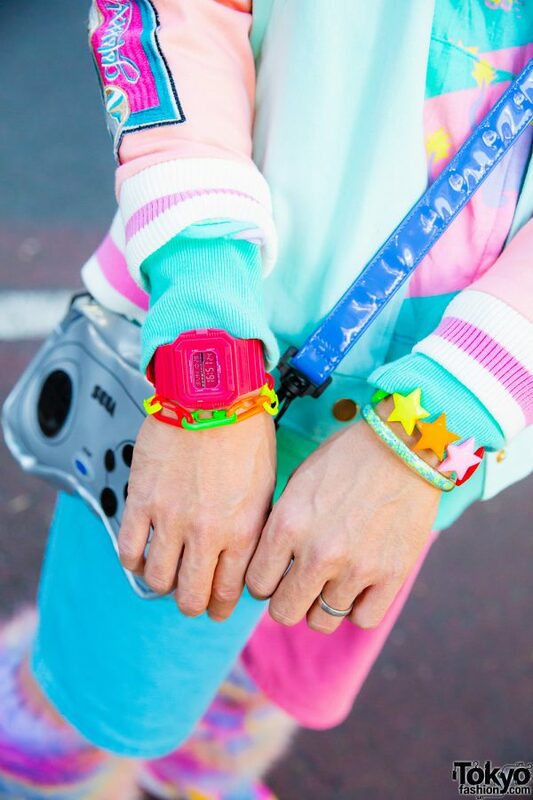 In addition, Masao is carrying a Segakawaii game controller sling bag from Galaxxxy. 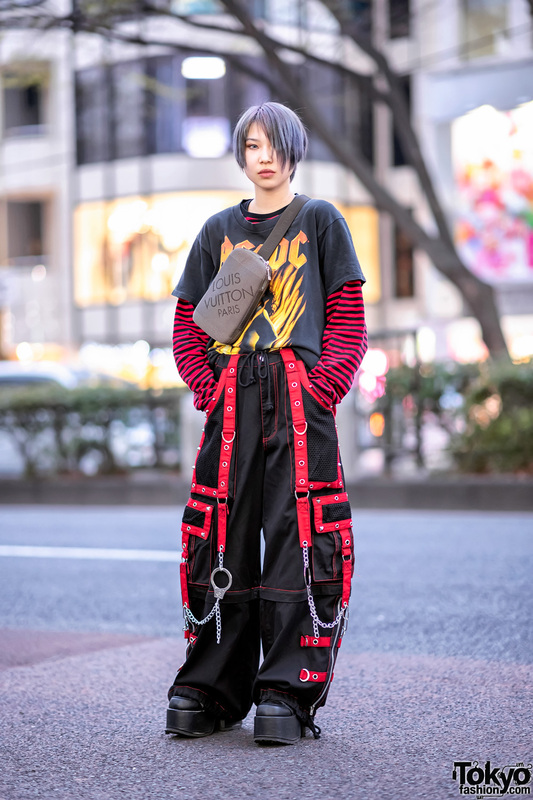 He is active on Instagram. 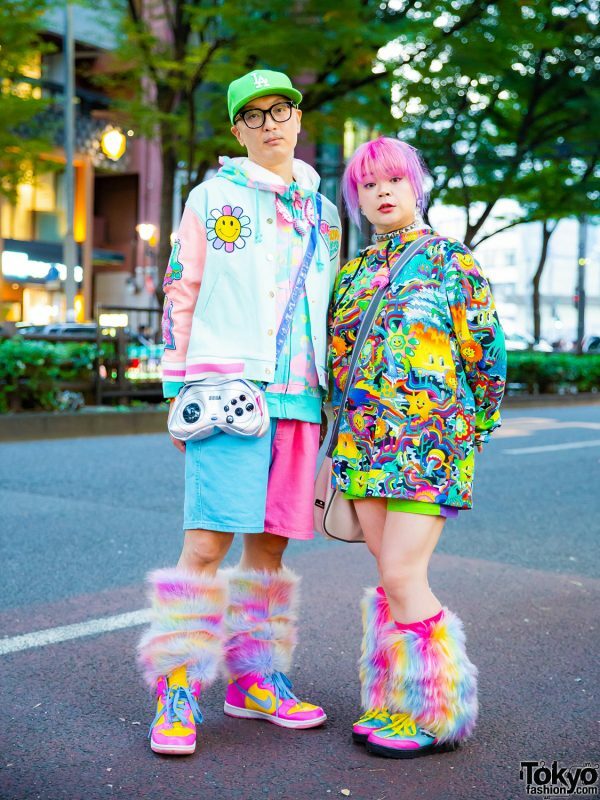 Meanwhile, Takako’s colorful outfit consists of a printed hoodie sweater from Galaxxxy, green-and-purple colorblock shorts, 6%DokiDoki rainbow furry leg warmers, and Galaxxxy colorblock sneakers with yellow laces. 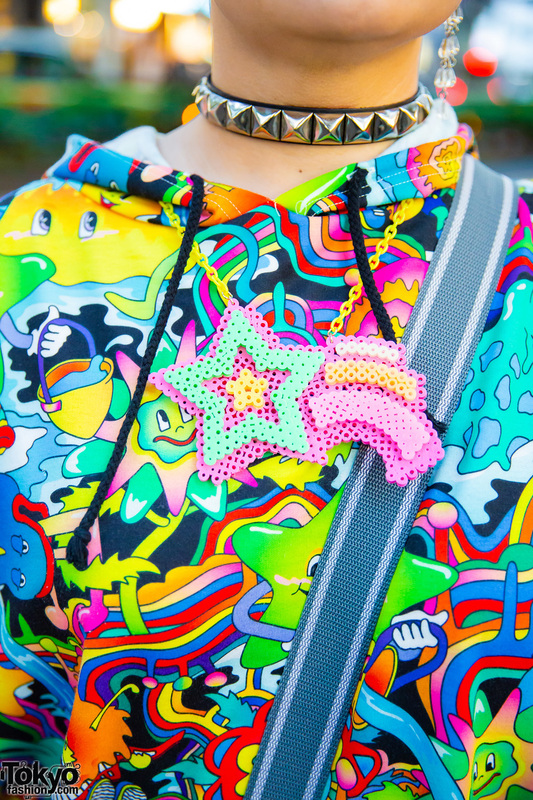 She styled her pink-and-purple hair into a braided updo with purple hair clips, and accessorized with eyeball bead earrings, a metallic geometric choker layered with a handmade shooting star perler bead necklace, geometric bracelets and multiple knuckle rings. 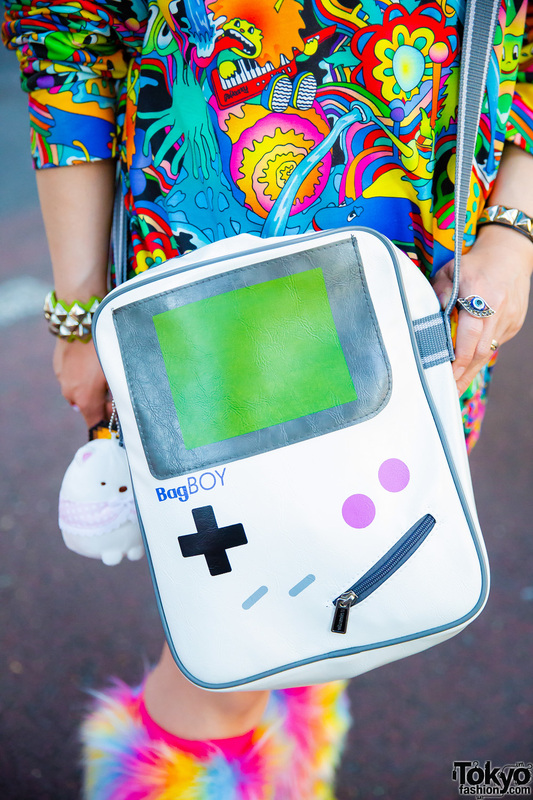 A GameBoy sling bag rounded out her style. 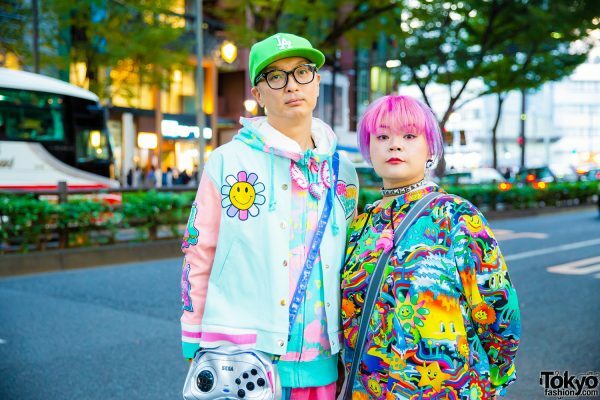 Follow Takako on Instagram.